PartyPoker dates back to the dawn of online-poker in far 1997. Having become one of the largest operators, Party found itself near to the bankruptcy in 2006: it had to close the access for the US players and was forced to pay out multi-million penalties. The company managed to stay afloat then and is still afloat nowadays, and due to the absence of issues with the American law, PartyPoker will be the first in line if online-poker is legalized in the USA. In 2011, PartyPoker merged with the Bwin company, creating the Bwin.Party corporation — the largest player in the field of online-gambling. The shares of the company are available on free sale on the stock exchange, which guarantees maximum safety of the players’ funds. Bwin is a world-renown betting company with impeccable reputation, that together with Party enters the top 4 largest poker providers. Being a skin of joined network, BwinPoker offers access to the same pool of players and has a similar to Party’s loyalty program, as well as similar achievements, tasks and bonuses. To play at Bwin and Party you will need 2 separate gambling and 2 financial accounts. Thus, you get the opportunity to play in the largest European field of recreational players on special conditions provided by BeatDaGame, even if you already had registered an account in any of these rooms. March of 2015 saw the large-scale changes aimed at novice players: new vivid design, streamlined VIP-system introducing tasks and achievements and so on. More than that, players got back the ability to exchange points for cash and open only one table in some games. The network is focused on the European market, so the peak times are evenings CET. At that, USD remains the main currency of PartyPoker, while at Bwin it is possible to open an account in EUR, but the games are played in USD strictly. The traffic exceeds 12,000 connections, 3,000 of them in real money cash games. You can meet recreational players at every table and at every stakes. NLHE gathers dozens of tables at micro- and low-stakes. The peak times boast about 30 tables of NL100, 25 tables of NL200, 15 tables of NL400, 10 tables of NL600 and 8 tables of NL1K. Approximately 16 of traffic is concentrated at full-ring tables. You can also find 2–3 playable and dozens of open HU tables at every stakes. The rooms’ novelty — some stakes incorporated the tables with a “Casual Cash Games” mark. You can open only one such table. They are designed to attract amateur players who don’t want to multi-table. The highest stake is NL2K, with more soft lineups than those of the similar stakes in competing rooms. The anonymous tables (NL50–NL1K) are also available, they collect about 20% of traffic at mid- and high stakes; as well as the tables for novice players (NL4–NL200), almost empty; and a kind of fast poker — FastForward (NL4–NL100) with about 100 players at NL10–NL25 and 50 players at NL50–NL100. FastForward poker offers HU tables, too, but they are virtually empty. You can also enjoy great action in Omaha. In peak times you can find up to 4–6 tables at every stakes from PLO50 to PLO1K and dozens of tables at micro-stakes. Maximum stake in HU games is PLO100. Along with small 1–3K GTD tournaments, PartyPoker and BwinPoker offer major weekly 15K and 10K GTD МТТs in different formats, as well as flag tournaments of 200К GTD NLHE and 5К GTD PLO on Sundays, which attract an enormous number of amateur players. SNG section features several tables of every format at low- and mid-stakes virtually 247. Mostly all SNG traffic is concentrated in the 3-way (spins) HERO SNG. Buy-in is up to $500 and a maximum win of one million dollars. Also there is 4-max format where one player is the bounty. These tournaments are only up to the limit of $20. 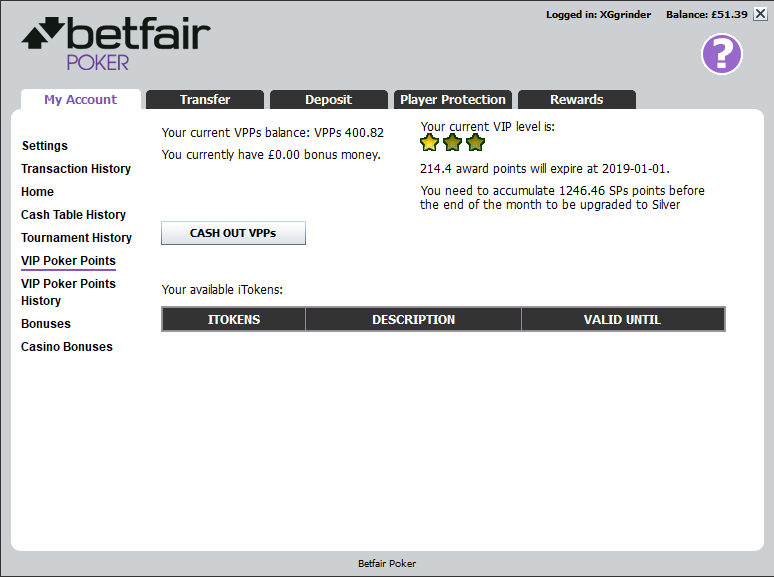 You get up to 40% Cashback paid into your account on weekly basis for your loyalty on Party Poker. To receive Cashback you need to collect at least 25 points in any given week. 1 point equals $1 in rake. There is one more tier available for players that manage to collect 100,000 points ($100,000 in rake) within a 12 month period. It is called VIP Diamond and it offers 50% rakeback! Make sure to opt-in any time before 23:59 on Sunday of any given week to secure your cashback. Players who have seen the old Party software will be amused by the new looks and functionality of the rooms. The new versions of Bwin and Party differ only with a color scheme. Bright looking lobby, attractive to novice players, is still convenient to navigate and it lets you turn on and off the detailed info on the games. Players will also like the advanced filters, tables conveniently grouped by stakes, search player function and the ability to add players to your buddy list. Tables comply with all the modern gambling standards. Both rooms have to offer special functions for multi-tabling grinders: multiple monitors support and notifications about big pots and even big hands. Hot keys and customizable bet-sliders are supported as well. You can position and set up the tables to your liking. Finally, you are offered a function of joining the table with one click or quickly opening another table identical to the already open one. The network partners almost every payment system available: Skrill, NETELLER, Webmoney, Moneta.ru, wire transfers and bank cards. No charges are imposed on the deposits or withdrawals, and cashouts are processed within 72 hours. The transfers between players within a client program are also available. In February 2016 Party removed the commission for withdrawal, which amounted to 3%. Afghanistan, American Samoa, Australia, Belgium, Bermuda, Bulgaria, Congo, Croatia, Cyprus, Czech Republic, Democratic Peoples Republic of Korea (North), Greece, Grenada, Guadeloupe, Guam, Haiti, India, Iran, Iraq, Israel, Myanmar, New Caledonia, Northern Mariana Islands, Pakistan, Peoples Republic of China, Portugal, Puerto Rico, Republic of Sudan, Reunion Island, Rwanda, Romania, Saint Barthélemy, Saint Martin, Samoa, Sierra Leone, Singapore, Slovenia, South Africa, Syrian Arab Republic, Turkey, United States Minor Outlying Islands, Virgin Islands (U.S.).